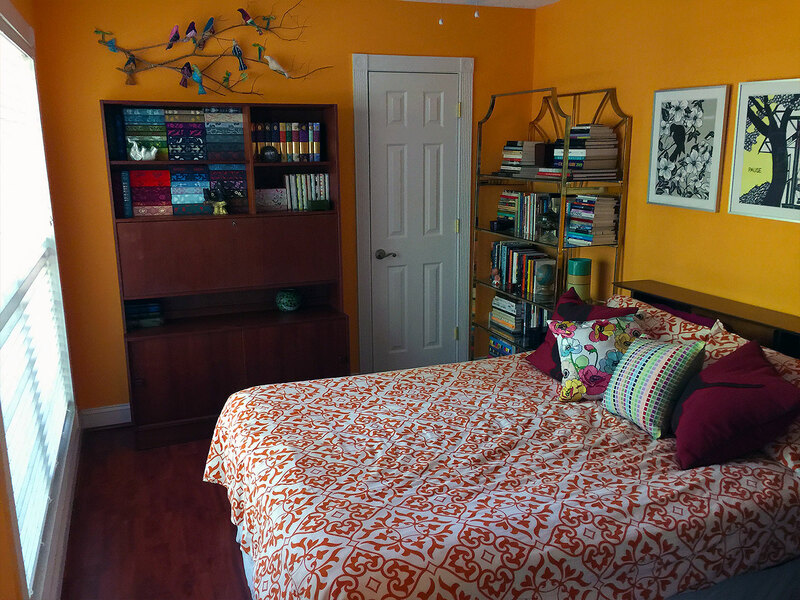 The first step to our nursery renovation was moving the guest room. 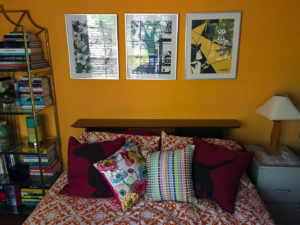 We’re keeping most of the guest room furniture in the nursery (the two dressers anyway), but there just wasn’t room for the full-sized bed component of the bedroom suite. I’ve also been rearranging a lot of the books on the bookcases in our den to make some room for baby toys (when the need arises). 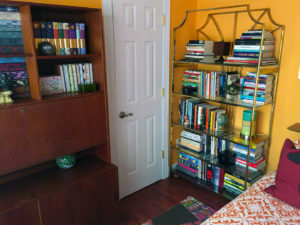 The guest room is now a library of sorts. We painted this room orange when we first moved in, and I still love the color. When the late afternoon sun comes in the window, it’s just gorgeous. 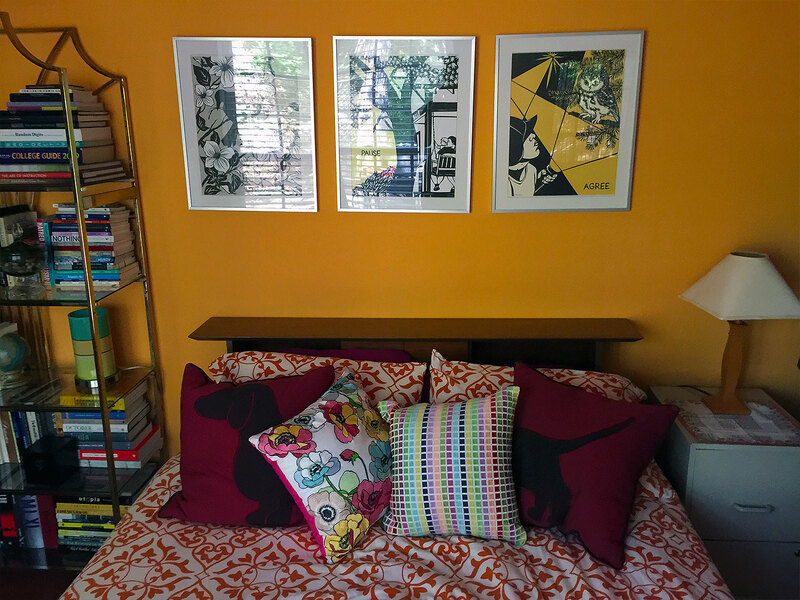 The other components of the room are the bed, MCM hutch, brass étagère, the bird mobile, and some prints I bought in Portland. I’m pretty happy with the overall finished product. Looks great! Maybe next week I’ll see it in person!